Background info: Years ago I bought a busted up chinese electric bicycle. It was in terrible shape and it took me make about 2 weeks to fix it up enough to make it rideable (full frame repaint, front wheel complete replacement, axle rebuild, lacing the hubmotor into new rim) It became a full-on restore but that's another story.. 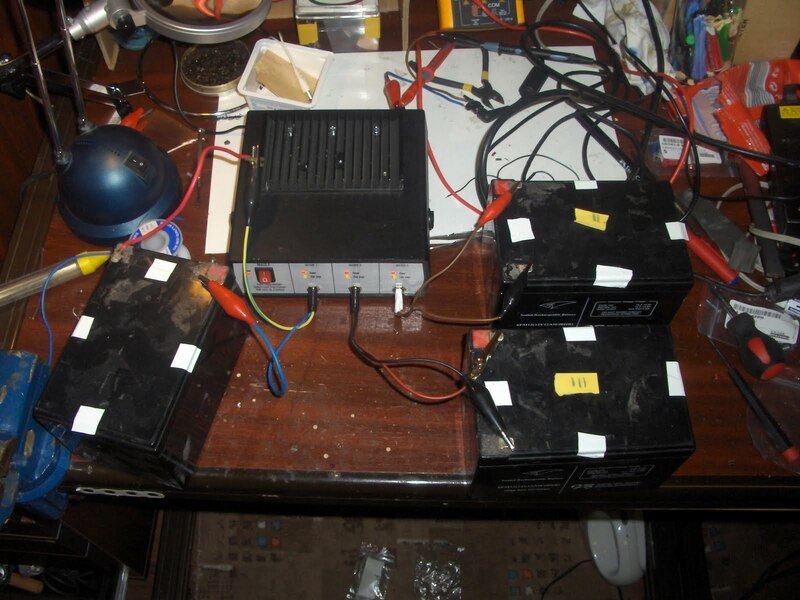 Anyway the bike uses a 36v battery pack made from three 12Amp-hour Sealed-Lead-Acid batteries. The ones that came with it were mostly dead. 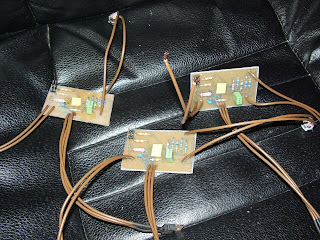 I ran an inconclusive desulfator experiment on them, being still much of an SLA noob at the time and managed to rejuvenate them to around 4Amp-hours capacity. Ergo, worthless. I bought brand spanking new batteries for it. I admit they were overpriced, off-brand and not even specifically deep-cycle models. I've put about 500 kilometers into the bike with them, and then I couldn't even finish a grocery-shopping run. 500kms is definitely not much, so I started thinking about what I can do to prolong the life of the next pack that I inevitably had to invest into. I've been charging my batteries in series with a 36V charger, and never equalizing them. This would mean that if one cell in one of the batteries died the whole pack balance would be shot and the remaining batteries would die shortly after. But even if not the pack could go out of balance over time as the individual batteries wear out at different rates. It seems like a good idea to use an equalizing charger at least every once in a while. And I'm not ruling out the possibility of modifying the pack to allow for individual charging of the batteries ALL the time. This would be ideal because the pack would always be balanced out perfectly. To be honest I'm not sure about the practical effectiveness of this and the cost of this project is possibly more than what I save even if I prolong the pack life by half a year or so, but it was great learning experience and I'm fairly pleased with the outcome (which is V2, this article is about V1 that I've completely dismantled after the first test run). I had this nice case. (I thought it was for an old desktop multimeter but it was probably just sold as an empty case originally.) that I wanted to use for the project. There was a simple design up for an UCx906 charger here. That I designed a PCB for some time ago. I made 3 of these boards, for the 3 batteries in the pack. One by one they all tested out fine, so I proceeded to put them in the case. The controlled overcharge step is used (if I remember correctly) to remove the layer of sulphate that forms during deep discharges. Can you see the problem here? I have about 4 useless, and 3 semi-useless LEDs. Knowing when the chip is in overcharge mode in itself is quite useless. And the power leds will all be on all the time unless one of the charger boards die. But I still proceeded to put it all together despite this. I sort of realized this while I was building, but at that point it just seemed like a waste to not finish it without a clear idea for a second version. So I soldiered on even though I realized I'm never going to be satisfied with this design. I mean the panels turned out good! and I re-did them like 3 times (the front one anyway).. It'd be such a waste of effort..
And so I was almost done. And then I was done, and doing initial tests. I let it sit for a couple of weeks then completely dismantled it when everything came together for V2.